The warm, mellifluous voice of Paul Heaton often masks the jagged satirical content of his lyrics. From pointed political jabs like ‘The People Who Grinned Themselves to Death’ to darkly comical love stories such as ‘Something That You Said,’ Heaton′s work with The Housemartins and The Beautiful South has had countless listeners obliviously humming along to his biting wit. In the ′80s, Heaton was the leader of The Housemartins. Like The Smiths, The Housemartins were college radio all-stars in the U.S ; although the group′s jangly riffs and brainy, humorous songs couldn′t draw mainstream acceptance in America, the band shared a portion of the Smiths′ sizable cult of devotees. In 1986, the video for The Housemartins′ ‘Happy Hour’ was selected as a ‘Hip Clip of the Week’ on MTV; the rollicking single is still a favorite of ′80s flashback shows on modern rock stations. After the Housemartins disbanded in the late ′80s, Heaton then fronted The Beautiful South, a group that mirrored the Housemartins′ no-frills approach. 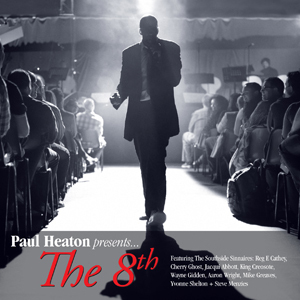 Nevertheless, The Beautiful South expanded Heaton′s musical canvas, exploring jazz and even country influences. While many critics and student-run radio stations in the U.S. continued to laud Heaton′s talent, The Beautiful South became far more successful in England, where they charted several number one albums. The group called it quits in 2007 (to reform, without Heaton as The New Beautiful South a year later) and Heaton shifted his focus to his solo career. Although Paul′s first solo release was back in 2001 [albeit under the pseudonym Biscuit Boy], it wasn′t until 2008, with the release of ‘The Cross Eyed Rambler,’ that Heaton started putting out records under his own name. The follow up, ‘Acid Country’ is Paul’s 15th studio album and his second as a solo artist. Recorded with his band in Colne, Lancashire, the album was co-produced by Mr. Heaton and Christian Madden (of The Earlies) and features guest vocals from Sally Ellyson of New York’s Hem and Ruth Skipper from Moulettes. 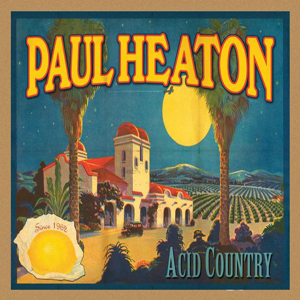 Paul previewed some of the songs from ‘Acid Country’ – as well as tracks from his previous solo outing and a couple of classic offerings from his Housemartin days - in May 2010 when he embarked on the ‘Pedals and Beer Pumps Tour’. He travelled to 16 pubs by bicycle, cycling over 1000 miles in the process and playing some of the best shows of his career. Starting off at the Rovers Return on Coronation Street and fitting in a quick date at the Woolpack in Emmerdale, the dates saw him highlighting the plight of local boozers and celebrating cycling as an environmentally friendly (and very healthy!) method of touring.